From hot combs, and press and curls, to introductions to relaxers and smooth edges, adolescence for black girls wasn’t just blonde Barbies and Easy Bake Ovens, it was also a crash course in black hair care, particularly how to style and manage our tresses. I’ll never forget early mornings shortly before the bus came, kneeling upright on a pillow as my mother worked her magic, gel’ing the heck out of my edges or making my eyelashes graze my ears for the sake of an unshakable ponytail (Side Note: it’s nothing but the grace of God that I stand here before you today with my edges intact). Then there were my preteen days where I began my routine trips to the salon, growing steadily immune to the smell of lye, burnt hair and the constant hum of the hair dryers, which oddly enough I find calming as an adult. Waterfalls, cornrows, finger waves, chinese buns, box braids, perms and more, Jesus, we put our hair through it, and for the sake of playground pimpin’, it was worth every single fried follicle. From the good, the bad and the in-between, here are a few of my personal favorite old school black hair products. Bonus points to you if these were kept in a Caboodle, below the kitchen sink or on your mama’s dresser. This isn’t me, but man do I feel for the child. Either my mother had an extremely shaky hand or I secretly enjoyed hearing my scalp sizzle, either way 20 years later and I’m still scarred (mostly on my hairline) and can’t quite look at stove burners the same. Yes, I loved my mid-back hang time and laid roots, but man did they come at a price. It really didn’t get much better than this back in the day. Whenever I needed style, body and shine, and a look that was totally all mine (and under $25), this stuff was the go to. No-lye relaxers that left our hair soft, silky and free — what more could an 8-year-old girls ask for? Like most black girls this was my introduction to the creamy crack — a kitten heel of sorts before transitioning into full-out stilettos. An avid scratcher, especially before relaxer day, Just For Me was a godsend to my sensitive scalp. Besides, who didn’t want to be one of the little girls with the fabulous fried, dyed and laid to the side curls in the commercial. No part was complete without it. Blue Magic or Ultra Sheen, whatever your grease of choice, this stuff on a ponytail was the equivalent of Twitter pre-Kanye West rants, it was just meant to be. As a natural girl I’ve developed a new appreciation for grease and its moisturizing power, as good pomades are hard to come by. If your household was anything like mine, a standard size jar could last a few months (a little longer if you swiped a finger along the inside of the jar a few times). It’s worth mentioning that this combined with a hot comb could work wonders. It’s also worth mentioning that it was virtually impossible to completely wash this off your hands. Ever. I’ll never forget my first crimp set. I wore a mock turtle neck orange pullover fleece, oversized khaki pants, Sketchers and two-litter bottle glasses and you couldn’t tell me one dayum thing because my hair was laaaaiiid and it wasn’t going anywhere for at least 3-4 business days and a weekend. I’m not sure what we as a people found attractive about plastic-like hair, but we did. From pin curls and waterfalls, to spirals and the #ShortHairDontCare sistah-girl favorite, known on the block as the Woody Woodpecker, come hell or high water, with just a spray of spritz, the hair wasn’t moving, literally. Yes it was flammable and took a few washes to remove the residue from our hands, but a fresh crimp set made it all worth it. I’ll admit I’ve never actually used hair bonding glue, but I’m familiar by association. Just about every cousin, girlfriend and chick I knew had this front row on their bathroom counter, bedroom dresser and/or book bag purse. After helping a friend in high school re-apply her tracks after a lunchroom brawl, I quickly learned the strong hold had its limits. For example, while the super hold hair glue usually got the job done, it was not immune to flakes, crust-ups and swift removal during physical altercations. Before I say what I need to say, I’m going on the record to proclaim that the first black girl I bring into this world will have these in her hair for at least the first 6-7 years of her life. There are certain moments in a young woman’s childhood where her confidence, femininity and little girl swag are at their peak. Rocking these was one of them. There was nothing, and I mean nothing, like showing up on the playground with a fresh set of ballies and matching barrettes. Each mom or big sister had their own technique but the end result was always the same and equally fabulous. But fly girls be warned, there was no whipping of the hair here as a ballie to the eye could be lethal. Double cool points to you and your mom if your hair accessories were tucked discreetly away in a Tupperware container or old coffee can. What’s not to love about a moisturizing concoction that comes in a cute pink bottle and has managed to stand the test of time? Besides the smell, this was great for stubborn edges (squirt, brush, style, repeat, shake and hit if you’re running low) and revitalizing day-old hairstyles. No shade to the rollers, but massive shade to your momma and mine for not thinking higher of us to comb our bangs after taking these rollers out. Maybe curls with the diameter of a needle’s eye were cute back in the day and we forgot. Maybe our mommas were too tired to whoop us that morning so they found pleasure in pushing us out the door with a bang that refused to exhale resting on our forehead. Or maybe they left the curl untouched with the hope that it’d fall later in the day, knowing dang well it never would. Whatever the reasoning, it wasn’t right and it sure wasn’t okay. Weigh in and share your favorite old school hair products! 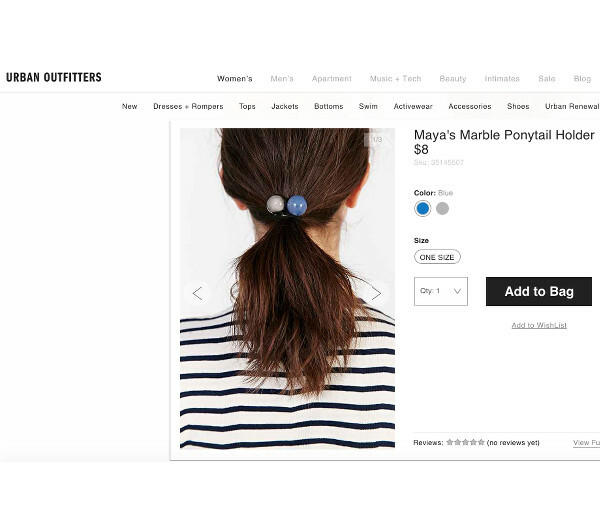 This makes me laugh as my cousin just shared a post on Facebook about Urban Outfitters and their “Maya’s Marble Ponytail Holder” ( http://superselected.com/wp-content/uploads/2015/06/UrbanOutfittersBeLike.jpg) for $8 each. Stop it. Honorable mentions: What about foil at the end of beaded braids. I never understood why, but it was done. Or yarn ribbons. Your aunt used to go to town with those. lol. Thanks for this laugh early in my day! Groom and Clean is my second favorite of all the old-school men s hair products. It s water based so it doesn t leave your hair feeling greasy, yet it still gives you that slick, vintage Hollywood look. Groom and Clean provides excellent all day hold, so you re looking dapper from morning until night. Yaaasssssss to all of these products! This brought childhood full circle for me. Little girls today will never know about those hot combs and blue magic grease lol.